Our Japanese Samurai Gunsen Tri-Colored Katana was inspired by the gunsen, or folding war fan, which was frequently carried by Bushi warriors and used as a weapon of both attack and defense. 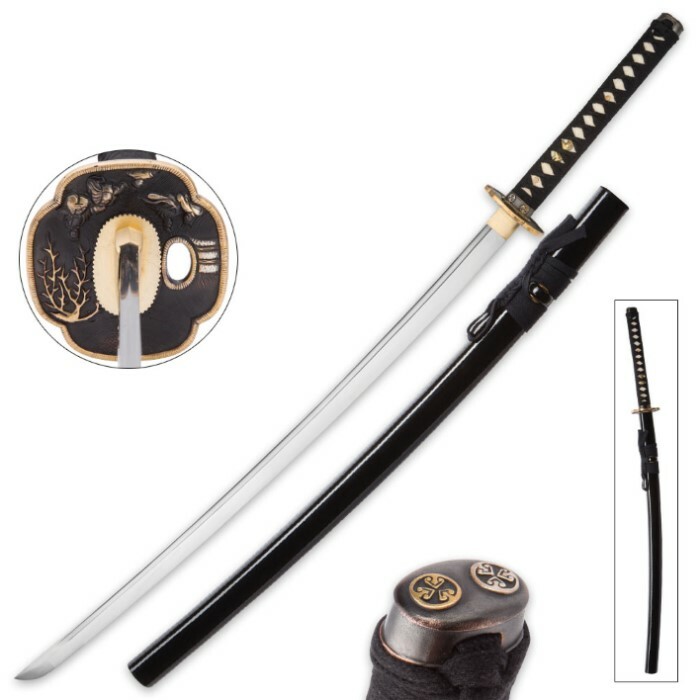 The 28 1/2” 1060 high carbon steel blade is sharp and polished, also bearing a traditional heavy blood groove down its center and the hardwood handle is wrapped in genuine ray skin and black cotton cord with an ornamental menuki. 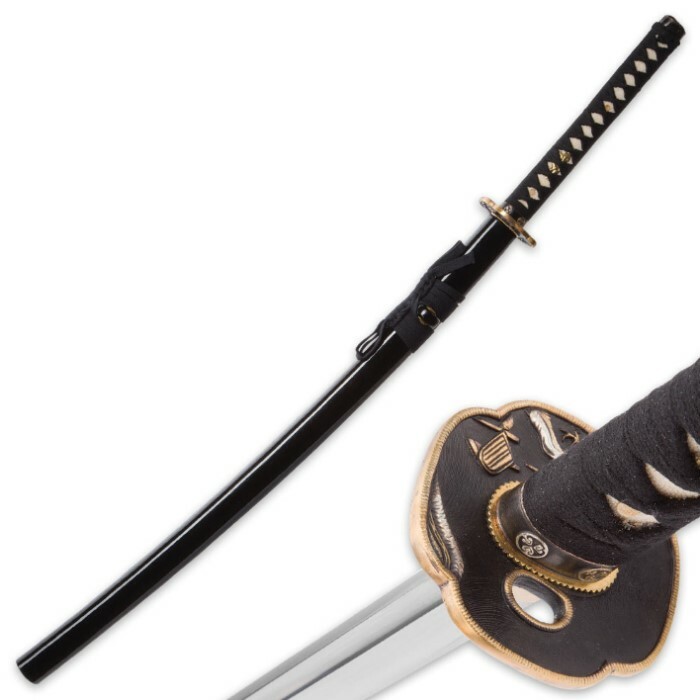 The cast brass silver, gold and black tsuba of this sword was crafted using these beautiful and deadly weapons as the inspiration and the war fan theme is carried through on the pommel, as well. A black lacquered wooden scabbard sheathes the blade to protect it from the elements. Also included are a sword bag and decorative gift box.